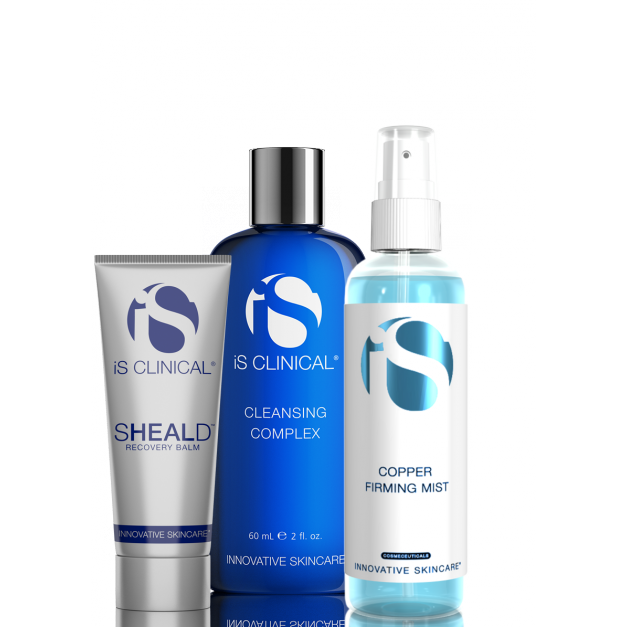 iS CLINICAL products for post-procedure recovery and compromised skin help aid in your skin’s healing process and decrease downtime. By immersing your skin in deep, nourishing hydration and creating a powerful antimicrobial barrier, your sensitive skin will be soothed, invigorated and given the protection it needs to recover from ablative procedures (fractional, CO2 and deep chemical peels). Skin has been shown to experience less irritation, less peeling and fewer side effects following treatment.